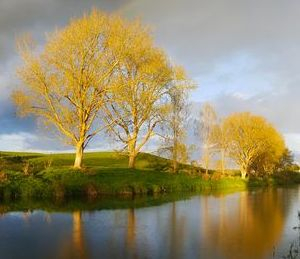 Explore our local gold mining heritage, visit the modern gold mine, bike through the magnificent bush-clad hills of the Karangahake Gorge, the Waihi region is a great area to experience real New Zealand. It was the quest for gold that first brought Europeans to Waihi in numbers. In 1878 gold-bearing quartz was discovered on Pukewa Spur (now Martha Mine), and just a decade later Waihi boasted a population three times that of Hamilton. The mighty Martha Mine had quickly become one of the most important gold mines in the world. 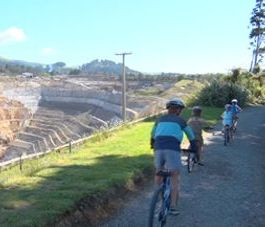 Today, Waihi's huge working open pit gold mine is only metres from the centre of town and you can bike right to the edge and peer hundreds of meters down into the chasm. 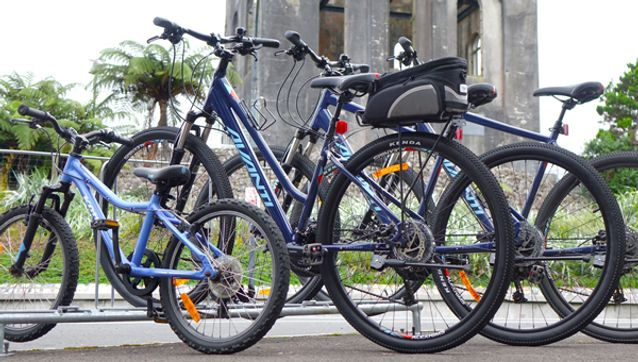 The Hauraki Rail Trail is one of the easiest cycle trails in the country and it boasts some of New Zealand's best scenery. 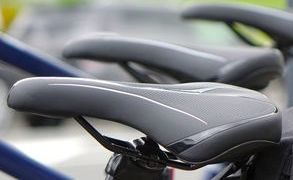 As a Grade One cycle trail, it's suitable for all fitness levels and cycling skills. 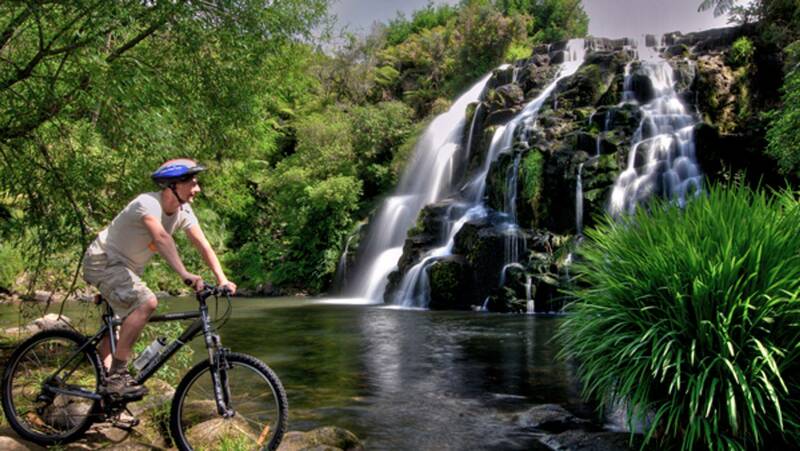 Highlights include; the stunning Karangahake Gorge, historic gold mining towns and relics, the shorebird coastline, and luxurious mineral spas, not to mention all the great food and coffee available at lots of covenient locations across the Trail. If you're after a spectacular, 'must see' walk or ride to compliment your Hauraki Rail Trail experience, then the Pit Rim Walkway is perfect. It begins opposite the Waihi i-SITE, under the shadow of the Cornish Pumphouse, and rises gently to the edge of the gold mine for your first glimpse into the open pit. The gravel path continues clockwise around the western end of the mine before the 4 km loop brings you back to the i-SITE. You'll see interesting heritage features, bush and scenic parkland, and interpretative signs along the way will give you fascinating insights into Waihi and the gold mine. This peaceful bike ride or walk can be accessed from the Pit Rim Walkway by crossing Kenny Street and following the mine conveyor. The short trail leads you through the historic Waihi Battery site where you’ll find yourself surrounded by a fascinating collection of historic mining features. The 1.5km trail can be done as a short loop, or used as a link between the Pit Rim Walkway and Gilmour Lake or the Black Hill MTB trails. After biking the lake loop track, feeding the ducks and enjoying the playground at Gilmour Lake, take a peaceful ride upstream along the banks of the Ohinemuri River. The 5 km 'Blue Track' loop leads you around Black Hill following the riverbank through native bush, farmland and hundred year old oaks. If it’s a more challenging mountain bike experience that you’re looking for, then the grade three Black Hill Track can deliver that too. Ride to the end of Clarke Street, cross the stile to your left, and follow the yellow markers for a 10km loop of sweet single track action through pine forest and native bush that's guarantees to get your heart pumping. 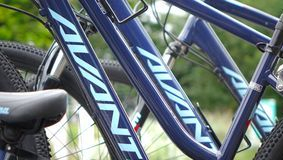 We have a modern fleet of good quality, and well maintained Avanti bikes in sizes and styles to suit everyone. 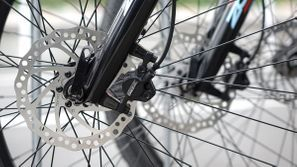 Mountain bikes, comfort bikes, mens and womens, plus bikes for the kids, and our bikes can come with carriers and bags to transport your equipment. 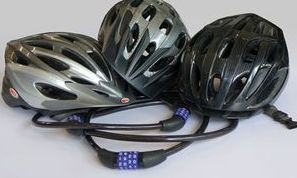 We also supply a helmet and bike lock for your safety and security. We offer a pick-up and/or drop-off service for groups. Contact us with your requirements and we'll take care of your transport requirements. 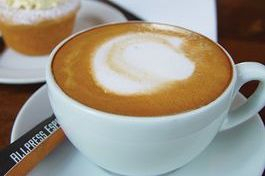 What better way to round off your day of cycling than to relax with good coffee, good food and good friends in Waihi’s charming town centre. Once refreshed and refuelled, wander the quiet streets with your bike to unlock windows into our pioneering past and get a taste of our unique and intriguing stories. To discover more you must visit the award-winning Waihi i-SITE and innovative Gold Discovery Centre.